A permit and reservation are required for any gathering of more than 25 people. To check availability or make a reservation over the phone, please call Parks & Recreation at 281-996-3220. Deposit and Fee must be paid in full to make a reservation, no "hold" reservations will be made. Visa, Discover and MasterCard are accepted online and over the phone, cash & check are accepted in our office at City Hall, 910 S. Friendswood Dr., Second floor. 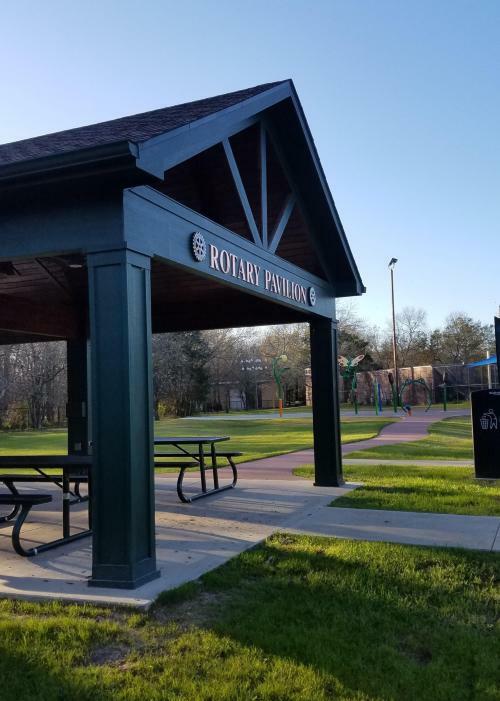 Classes, including boot camps and personal training, are prohibited in all City parks, except with a permit and permission from the Director of Parks & Recreation. All parks are maintained to good condition. Parks include security lighting as well as video surveillance. For more information please call the Parks & Recreation office at 281-996-3220. 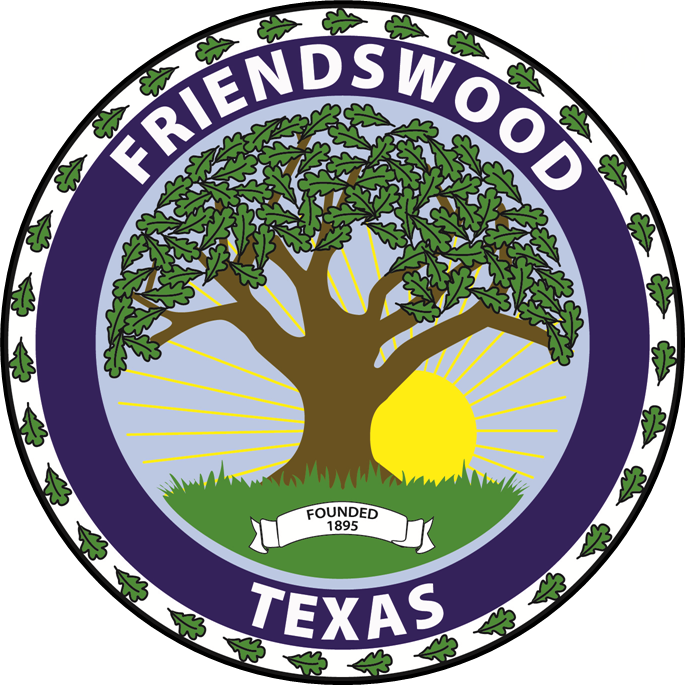 Friendswood City Council has approved new fees for park rentals and reservations. Non-profit groups may receive the Resident Rate with 501(c)(3) documentation. To make a reservation online, please go to parks.friendswood.com. Located at 416 Morningside. The newly renovated Activity Building houses the Friendswood Senior Citizen Program and provides fitness classes, meeting room space, etc. to the whole community. For more information please contact the Activity Building at 281-482-8441. 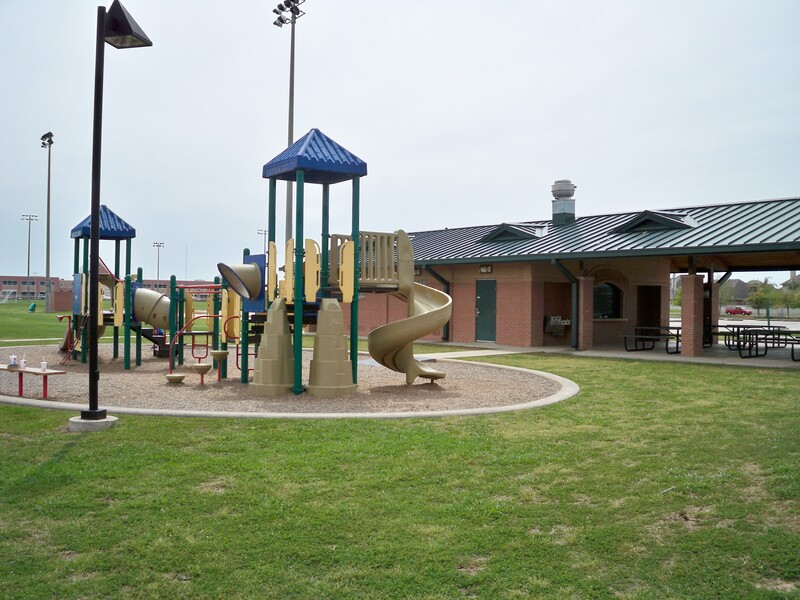 Located at 2200 S. Friendswood Dr. Facilities include: 2 picnic pavilions, a 1/2 mile, paved, hiking/jogging trail, playground, concession, restrooms, 6 lighted soccer fields, 1 small lighted practice field, 2 lighted football fields with scoreboards, 4-lane recreational track, 2 lighted multipurpose fields located in a detention, and the Evelyn B. Newman Amphitheater. 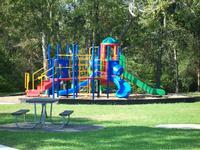 To reserve online go to parks.friendswood.com. 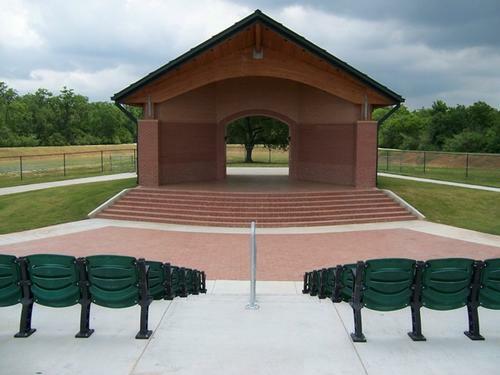 The park allows for Friendswood Youth Sports groups and the City of Friendswood to expand on local, state and national tournaments along with the expansion of current programming. The park is also home to the 4th of July evening program and fireworks show. 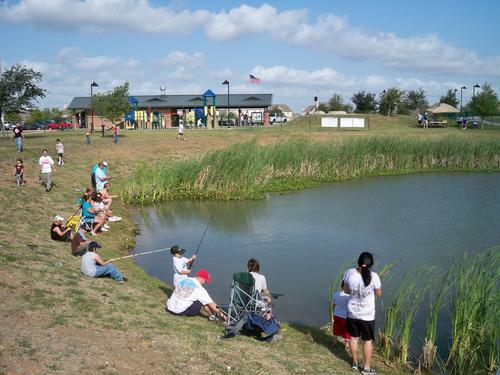 In addition to the 4th of July, the City also hosts an annual Youth Fishing Derby competition at the 3.5 acre retention pond. The pond is stocked twice a year by Texas Parks & Wildlife. 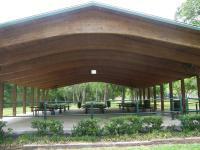 Each pavilion has 9 picnic tables. *A permit for field use must be acquired through the Parks & Recreation Department before fees are assessed. Admission Fee: Any event that charges an admission fee shall pay the City of Friendswood 10% (percent) of the gross receipts from the admission fee and any concessions sold. Located off of FM 528 and Moore Road (2910 W. Parkwood). This is a 27 acre multi-purpose sports park. This facility contains 4 lighted adult softball fields, 4 lighted youth softball fields, concession stands and restrooms. Two split softball complex facilities, which accommodates girls softball and adult softball leagues. 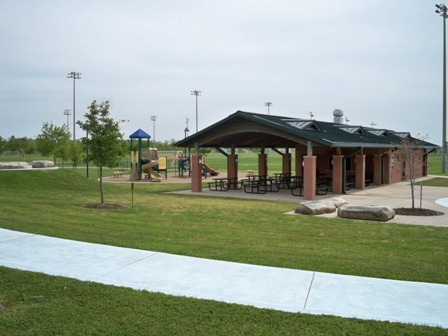 Please contact Parks & Recreation for rental information: 281-996-3220. Located at 2533 Davis Prairie Ln. The newest addition to the Friendswood community. 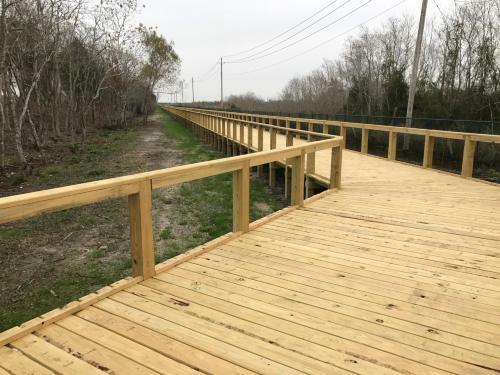 Facility currently includes: 2 fishing docks, 1 kayak/canoe launch, 1 pavilion with 4 picnic tables, 1 restroom building, multiple fitness workout stations along a 1 mile hiking/jogging/biking trail, picnic tables, benches, and small barbeque pits. 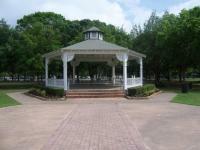 To make reservations for the pavilion online, go to parks.friendswood.com. The lake is stocked 4 times a year by Texas Parks & Wildlife. PLEASE DO NOT FEED THE WILDLIFE; VIOLATORS WILL BE SUBJECT UP TO $500 FINE. Located at 901 Buckingham in Regency Estates. 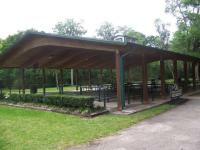 This facility is available for small and large social events, private parties and many other activities. Tables and chairs for about 150 people are included, if more are needed, individuals must supply their own. Small kitchen with microwave, oven/range, and refrigerator (no ice machine). Dimensions are ~100x60 - 6,000 sq ft.
$250.00 - Janitorial (cleaning) fee for reservations taking place on Friday, Saturday, or Sunday evenings (after 6pm). To make reservations online, please go to parks.friendswood.com. Old City Park is not available for rentals at this time due to renovations. Located on Briarmeadow near Winding Way. 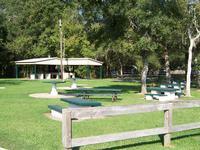 Facilities include: pavilion, picnic tables, barbecue pits, playground equipment, dog park, and lighted nature trails. The park also includes a pedestrian bridge over Cowards Creek connecting Old City Park to Stevenson Park. Located at 205 Stadium Drive, behind Westwood Elementary School. This facility contains 19 acres of baseball, and multi-purpose fields which are used for various youth and adult sports leagues. Friendswood Sesquicentennial Pool- Can be reserved for Pool Parties. Gazebo- Lighted area can be reserved for wedding ceremonies, etc. 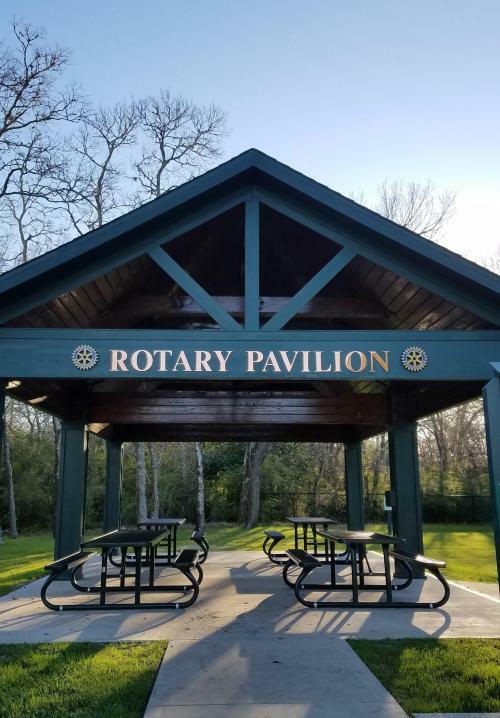 Large Rotary Pavilion- Lighted area can be reserved for reunions, company parties, etc. Small Rotary Pavilion - Lighted area can be reserved for birthday parties, small company parties, etc. Tennis- Four lighted and fenced tennis courts are free to the public daily. Sand Volleyball- Three sand volleyball courts are free to the public daily. Basketball- Outdoor, clay court is free to the public daily. Jogging Trail - 1/2 Mile, crushed granite jogging trail. Splashpad - 3 section splashpad with different spray features. Open daily 8AM-8PM. Splash Pad remains open to public at all times. No bounce houses or inflatables allowed at this pavilion. Park amenities are free to use on a first-come, first serve basis. Park amenities may only be utilized for the purpose in which they were intended to be used. 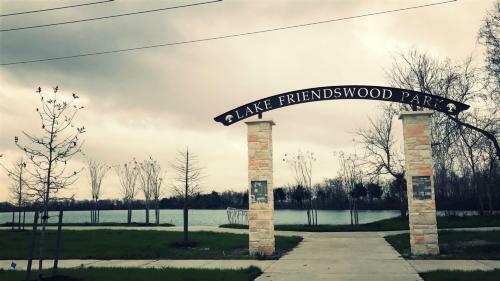 For information about teaching, leading or instructing a fitness or health based group or class please contact Heather Whitty, Recreation Manager at 281.996.3276 or hwhitty@friendswood.com. The City is currently seeking fitness instructors. A permit and reservation are required for any gathering of more than 25 people. To check availability or make a reservation, please go to parks.friendswood.com . Deposit and Fee must be paid in full to make a reservation, no "hold" reservations will be made. Visa, Discover, & MasterCard are accepted over the phone, cash & check are accepted in our office at City Hall, 910 S. Friendswood Dr.
For any event of more than 75 people and/or if alcohol will be present, security will be arranged. The pay rate for each officer is $35.00 per hour (the rate may increase to $40 per hour if the rental is made with less than two weeks notice). At least two off-duty Friendswood Police Officers must be present. Payment will need to be made by check or cash at the time of your rental directly to the assigned officers.